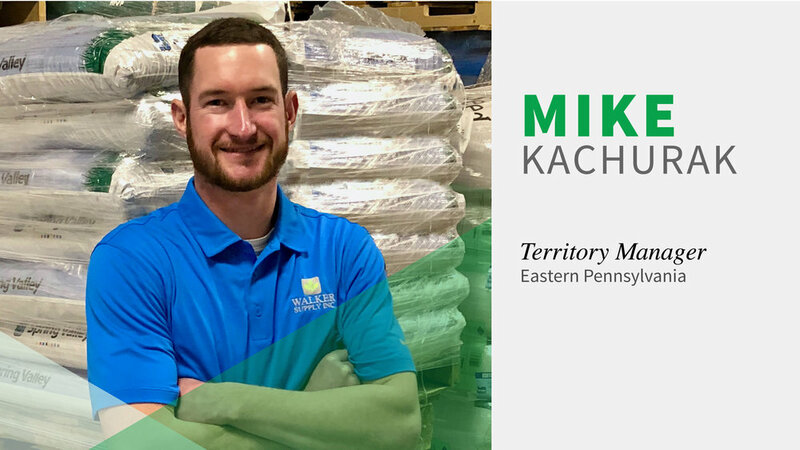 Meet the Team: Mike Kachurak — Walker Supply Inc.
Mike recently joined the Walker Supply Inc. team and brings many years of experience working in the golf industry. He grew up in Northeast PA, minutes from Blue Ridge Trail GC. At a young age, golf became Mike’s passion, and, eventually, his career. Blue Ridge Trail GC provided him the opportunity to begin the game of golf at a young age, and eventually he began working there at just 16 years old. He later attended Delaware Valley University, where he was a member of the golf team and graduated with a B.S. in Agronomy in 2011. While at Del Val, he completed two internships, one at his home course of Blue Ridge Trail GC and the second at Merion Golf Club, which led to a full-time position. Mike worked at Merion for seven years, with the final three as a Course Superintendent. In 2013, he even had the opportunity to assist with the 2013 U.S. Open. Mike then shifted into the golf renovation business, working for Total Turf Golf Services where he supervised all aspects of golf course construction. When Mike is not working, he enjoys outdoor activities, especially golf. He maintains a 3 handicap and enjoys golfing with his father and competing in events. He is married to his beautiful wife, Alex, in which they share the love of the Philadelphia Eagles and their dog Macy. Why are the Chlorothalonil prices going up?